Tear-resistant and won't absorb water! Look to Strong Man Building Products when you need a privacy screen that’s durable, lightweight and easy to install. 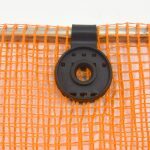 Available in four colors that will attach with either buttonholes or grommets, our Privacy Screen is tear-resistant and won’t absorb water. Whether you need privacy for a construction site, storage area, park or highway, we have a visual barrier that will meet your needs. 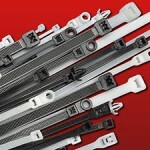 Black and green are available with or without Grommets. Blue and Saddle Tan are available with buttonholes only.